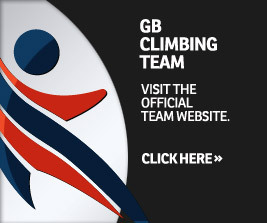 The Climbing Works hosted the 2014 British Bouldering Championships. The BMC is pleased to announce that The Climbing Works in Sheffield has become the second climbing wall, and the first dedicated bouldering centre in England and Wales to be designated a National Performance Centre. The BMC established the National Performance Centre (NPC) designation in 2012 to encourage the development of climbing wall facilities capable of running national and international competitions across England and Wales. As well as being flagship facilities in British climbing, NPCs are committed to working closely with the BMC and the GB Climbing Team to provide high standard competition climbing venues. NPCs also have an important role in providing training facilities for GB Team members and top-end climbers. Awesome Walls Sheffield became the first NPC in 2013, and is now joined by The Climbing Works, giving Sheffield the rightful claim to be the competition climbing capital of England and Wales – a useful boost as it aims to be recognised as the outdoor capital city of the UK. The Climbing Works opened in December 2006, setting new standards for size and quality as a dedicated indoor bouldering centre in the UK. The centre now has 1500m² of indoor climbing surface in two buildings, including the huge Berghaus Competition wall, which enables Senior and Junior GB Climbing Team members and upcoming stars to train on a competition wall on problems that could be found on the IFSC World Cup circuit. The centre hosted the 2014 British Bouldering Championships in July, and also holds the annual Climbing Works International Festival, which attracts a large audience. The BMC welcomes applications from climbing wall facilities that wish to be considered for NPC designation. The application process is open to any facility in England or Wales, and there is no limit on the number of NPCs that could exist. Facilities must be located in areas with a high population of climbers and well-situated for running major events, with good access to major transport links and public transport services, and with sufficient car parking and facility capacity to cater for major competition events involving large numbers of competitors, volunteers and spectators. Awesome Walls Sheffield is the first climbing wall in England & Wales to be designated as a National Performance Centre, and is due to open in late September. Very useful having two NPCs in the same city let alone the same area. In BMC eyes only the north exists and has any climbers! Although potential NPC facilities should be in an area with a large number of climbers, there are no restrictions on location within the criteria, and the NPC application process is open to any facility in England or Wales which meets the eligibility criteria. There is no limit on the number of NPCs that could exist.